It’s super easy. This is the same base recipe I use to make low carb garlic cheese bread, hearty low carb “leftovers” biscuits, and low carb cookies. It’s a very versatile base “dough”, with tons of variations possible. You can get creative with it. It’s very forgiving. I use Bob’s Red Mill Almond Meal/Flour, which I order online from Netrition. It only takes about 10 minutes to whip up and toss in the oven. The “dough” keeps well in the refrigerator if you want to cook a few fresh at a time, but the biscuits keep well too so I tend to cook plenty so I have something to “grab and go” on hand. As you can see, they are “crisp” on the outside and “fluffy” on the inside. You can try different variations or use different cheeses. I’ve tried Cheddar or Colby Jack shredded cheeses (mixed half/half with the Parmesan) in the recipe for example, which was delicious too! This is considered a “half batch” so you can easily halve it again for a smaller batch, or double it for a larger batch. 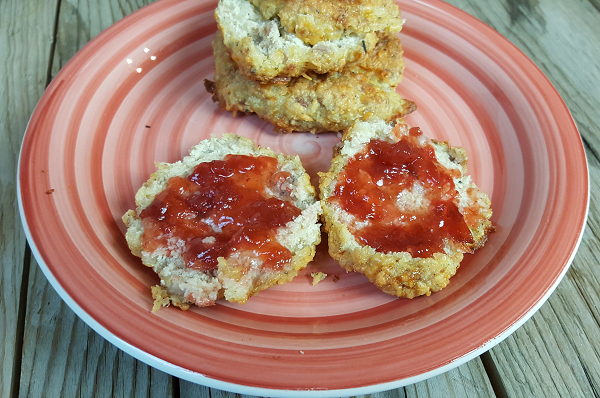 As is, this recipe makes 8 biscuits which are 1.3 net carbs each (per biscuit), or 4 net carbs for 3 biscuits. Directions: Melt the TBSP of butter in the microwave, stir the two eggs together, and combine all of the ingredients in a large bowl. 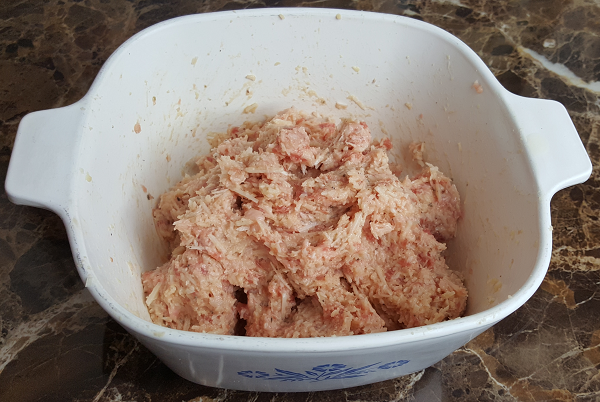 I mix all the ingredients together with my hands, similar to the way you would make a meatloaf: by kneading all the ingredients through your fingers until the ingredients are evenly mixed. Yes it’s cold and squishy, lol. 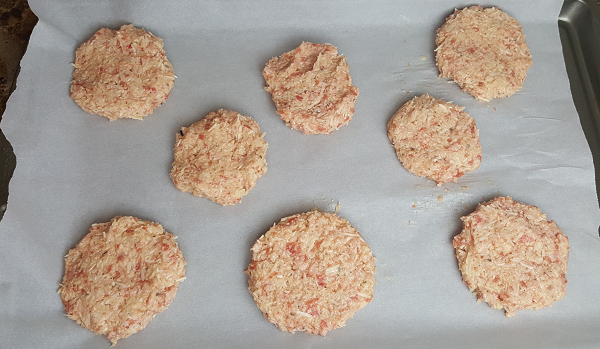 This recipe made 8 low carb sausage biscuits. Bake at 350 degrees until done, with a nice browned crisp texture on the outside. They may take 10-20 minutes to cook, or a little longer. Just keep an eye on them, flip them halfway through to brown on both sides, and take them out when they are done and browned to your liking. Note: They will be “greasy”. Remove from baking sheet and place on a paper towel to soak up any excess grease. Obviously you can make them as large or small as you please, but you’ll want to adjust your servings and/or any variation to your ingredients when you add the recipe into your MyFitnessPal Recipe Calculator to log your biscuits. It came out to 4 net carbs for 3 biscuits and 75% fat, 23% protein and 2% carbs – which are perfect Low Carb High Fat Macros! Click here to view the complete Sausage Biscuit Nutrition Facts. As you can see they are very low carb, high fat, and a good source of protein. 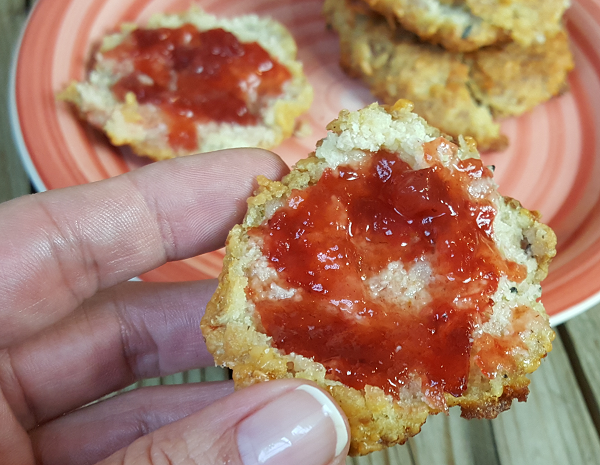 Great for a quick, easy meal or snack on the low carb diet! They’re hearty, and very filling. I’ve tried them with crumbled sausage I had already cooked. I used the same recipe except I used 1 cup (dry measure) of cooked sausage crumbles. They turned out very nice too. Like I said, this recipe is very versatile! Melt the TBSP of butter in the microwave, stir the two eggs together, and combine all of the ingredients in a large bowl. Mix all the ingredients together with your hands, like you would make a meatloaf: Knead all the ingredients through your fingers until they’re evenly mixed. Patty out 8 “palm sized” amounts of the dough into “biscuits” and place them on a parchment paper lined baking sheet. Bake at 350 degrees until browned on both sides. Flip halfway through to brown them evenly. They may take 10-20 minutes to cook, or a little longer. Just keep an eye on them, flip them, and take them out when they are done and browned to your liking. Place on a paper towel to soak up excess grease. 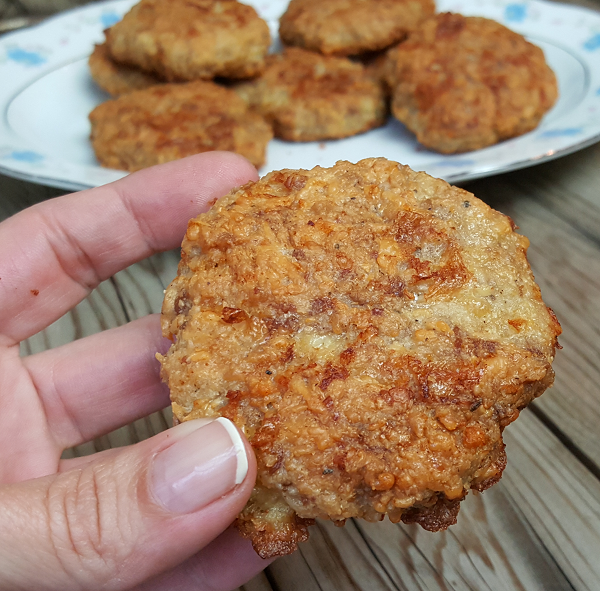 I hope you enjoy this low carb sausage biscuit recipe! I’m so happy you posted this, I love sausage balls around Christmas time, sounds like I’ll be able to have them with this recipe, thank you so much, I can’t wait to try them. YUM! These look so good, and great to have at hand. I wonder if adding cooked, crunched up bacon would work in these? Love me some bacon!!! These look positively awesome, easy, and wonderful to keep on hand in the freezer for that quick breakfast we all need sometimes (in my case, alot). Must run out and buy me some Jimmy Dean ASAP, the rest is in my fridge. THANK YOU. For not liking to cook, you come up with some great ideas. You’re welcome. 😀 This recipe is so simple and so versatile, it’s hard to label it a recipe or “cooking” lol. Combine, stir, bake & eat. 😉 Enjoy!! I am not a low-carber but love your recipes–I have made these and they are excellent. 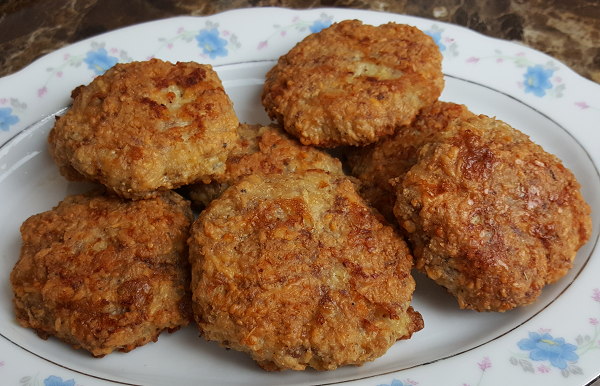 I made this and put cooked ground chicken in it, these are very good and very filling:). They are in the oven. I made 8 biscuits – a little larger than yours. I may have used a bit more cheese as well because I weighed it and then grated it. Can’t wait! May have to have a snack in a bit. I didn’t even think about freezing them. If you’re pressed for time, these would work for sure. I still need to actually try these out. Lynn, I will let you know when I do. (y) 🙂 Thanks! I’ve printed the recipe out, so going to try soon! Made a double batch tonight to have some in the fridge to grab and go in the morning. Good thing I made that a double batch…… the first batch didn’t even last until the second batch was out of the oven! I made these this morning. .OMG they are so easy to make and simply divine. Love your recipes. My daughter is diabetic and trying to lose weight so low carb is her best option. 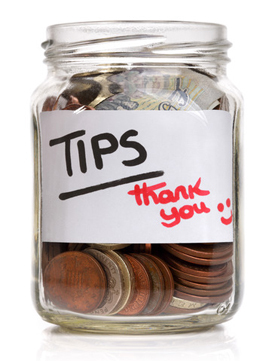 Thank you for helping us find new ways to eat well. Just a tip, these biscuits are pretty small. I tried to eyeball the size based off the picture with the biscuit in hand and ended up with 7. Apparently, I have a giant hand compared to the one in the pic lol. I threw everything back in the bowl and used a 1/4 cup measuring cup to portion, I ended up with almost 9. That 9th one was about a teaspoon short of a 4th cup. I baked mine 15 minutes on one side and 10 on the other, they were browned but not as much as the darker ones pictured. Could be the lighting or different ovens? These tasted good but weren’t very bread or biscuit like to me. I would definitely make them again but I’d probably leave out the butter, there was a ton of grease from the sausage. This recipe makes the most fantastic….pizza crust! 🙂 Easy peasy, just patted the ‘dough’ out on a baking sheet to about 1/4 inch thick, baked until it was golden brown, maybe 25 minutes. Covered with low carb sauce, cheese, veggies, pepperoni, garlic, baked like you would any pizza. So good. I cut it up and froze the pieces, they’re just as good heated up the next day. Subbed mozzarella for the Colby. Thank you for this fantastic and versatile recipe! Oh my gosh – I bet using this as a pizza crust is delicious! I have made these a million times since discovering this recipe and not once thought of pizza crust! lol These biscuits are gone as soon as I make them! 🙁 I just can’t seem to make enough of them. I made these for breakfast this morning. My husband loved them! Thanks for the recipe! I am new to Paleo cooking and this sounds really fattening to me. So just wondering do you really loose any weight on the Paleo Diet? I eat 20 net carbs per day or less, with at least 70% of my daily calories coming from healthy fats. I have to try these asap. I am going to share a hint that took me over 60 years to discover… I invented it when my 3 year old granddaughter was wanting to help me with deviled eggs… I had her dump the yolks, the mayo and seasonings into a zip lock bag and had her squish the Heck out of the mixture… Cut the corner from the bag and piped them right where I wanted them .. I have since have made meatloaf in a baggie and I plan to try these biscuits the same way.. No more sloppy fingers and I can pipe out a couple onto my mini baking sheet for my toaster oven… The surplus dough in the bag can be slid into another baggie for later on… Fresh biscuits on demand!!! What a concept!!! Can’t wait to try these you make cookies from the same dough? They look delish! I love the ease of your recipe. I personally love spicy sausage, so I added pepper flakes, sage and a little lower-sodium salt. They turned out perfectly seasoned for my version of morning breakfast sausage. I love all your posts! Thank you, Sue! That sounds like a GREAT version of this recipe. 🙂 Yum! Hello from Australia, right down the bottom, Tasmania, in fact! Just saw your recipe which is very interesting and I wondered if you could give me some description of “Jimmy Dean Sausage” and just how much would half a tube be? We don’t have that here, but wondered what I could replace it with? Many thanks – will now go look at more of your creations! The tube is 16 ounces, a pound of ground sausage. Here’s what it looks like: http://www.mojosavings.com/wp-content/uploads/2015/08/dean.jpg So half would be 8 ounces of ground sausage. You can use ground hamburger or turkey. Add some salt, onion powder and ground sage. Will taste nearly the same as sausage. 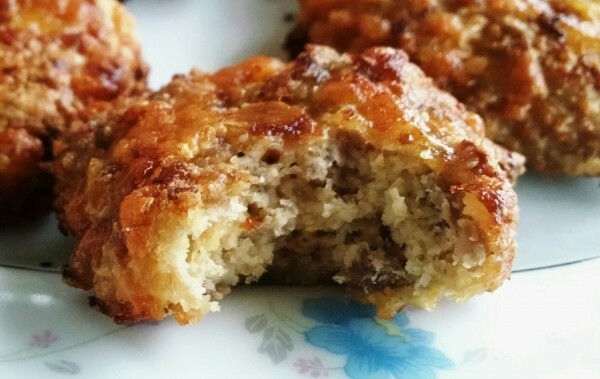 I love traditional sausage balls so I had to try these. First time I was impatient and did not have parchment paper, that is a MUST. Made a few adjustments to the recipe and they were crumbly due to sticking to pan but very tasty. Second go I used 1 egg and about 3 ounces of cream cheese and 3/4 cup colby jack shredded along with the almond flour and melted butter (which I forgot first time). These things are really good. Mine take closer to 30 minutes to cook to the brown level I want but this recipe is a keeper. I think next time I will try with a hot sausage to add a little zip. The spicy sausage is definitely a nice twist. 🙂 Mine take awhile too, but I like them bigger (for a fluffy middle) so it depends on the size you make I think. I made sausage balls (spicy and about 1/2″ to start, finishing at 3/4″) for hors d’ouerves for years so these looked like a natural adaptation…. made them and loved them. Remember folks whenever you’re out of parchment paper, use butter wrappers… I save all mine and keep in the freezer till I need them to line cake pan or make these balls/patties…. they work fine and are free. We are getting ready for a one month road trip (super excited) so I am drifting through your post to glean everything I can to do this trip low carb. I will definitely make these biscuits and I think they will last a few of the days at least. (bringing a cooler). Thank you for doing this blog. I am getting back on track after falling off the wagon for a few days. your “three days to get back on” reply to me was a huge encouragement. thanks again so much. I’m so glad, Clarise. 🙂 You’re welcome! I just made these! Can you say OMG! OMG! Delicious! Yummy moist good good good! Great recipe!!! I made these exactly to your recipe except I used sharp cheddar in place of the Colby jack cheese. Mine came out just like a sausage patty.. Could hardly tell their was any almond flour in it. And mine took 30 mins to cook ( I made 8 biscuits.) what could I have done wrong? They still taste wonderful but would love the biscuit texture you got from your recipe. Terry is there an easy way to print the recipe? If you don’t like getting the sausage all over your hands (because, let’s face it, especially with the extra fat in sausage–it’s really messy and takes forever to scrub off!) just keep a box of surgical gloves in your kitchen. I started doing that when I started LCHF, because so many of the recipes are kind of messy (like fat bombs! ), and a lot of them are easier to do with your hands. What a great idea! You are SO right, I’ve been keeping my kitchen sink full of hot soapy water and constantly running the hot water because our water heater is upstairs and it seems to take forever to get hot water to the kitchen sink! I’m still loving these sausage biscuits. I make double batches every other week and freeze them. Makes breakfast so easy on work days!! I have been on a low carb diet and have tried several recipes that have been just ok. These are delicious!! The recipe gave me 10 as you said and I cooked them until crispy! So yummy! Thank you for sharing! Did you make them flat? When I make mine flat they come out flat. To get them more like biscuits, I shape them less flat. Also, did you beat the egg first? I’m not a cook so I don’t know what else to suggest… More egg maybe? Don’t have any almond flour. Can I substitute crushed pork rinds or crushed almonds? I’m not much of a cook, so I’m not sure. I think someone else subbed the almond flour for pork rinds and it worked. You could try it! I finally made these and boy are they good! I’m a busy college student so it was nice to be able to whip these up quickly and store some in the freezer for a super quick breakfast. I let my roommate, who does not eat low carb, try them and she loved them too. Thanks for a delicious and easy recipe! Made these tonight and they are yummy! Like Beckie I used a glove to mix this up and then used my 1/4 C scoop to measure out the batter to get nine equal portions. I pulled off the glove inside out and laid it in the mound and pressed it with a spatula to flatten them. I also added a little onion powder and red pepper to mine, oh and used the spicy sausage. These are so easy. I find having some options in the fridge and freezer to make a quick meal works great and it feels like fast food. Otherwise I might not make the best choices when I’m really hungry. Thanks Lynn! Can you subsitute coconut flour for the almond meal/flour? I don’t think they swap out well. I’ve never worked with coconut flour, but from what I’ve heard it requires a lot more liquid. I made these the other day and they turned out great. Really tasty and so easy! 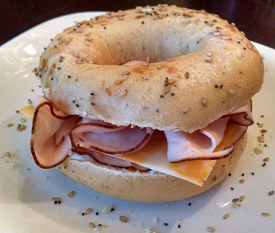 Question about making in advance…Do you bake/freeze and then reheat? Or do you prepare/freeze then bake? I think they would get tough if you froze and reheated, but I’m not really sure! I mean “can’t eat eggs”. I haven’t made these yet but “flax eggs” can be substituted for 1-2 eggs in a recipe. I did it successfully for 1 egg so far in a 3 egg low carb donut recipe. 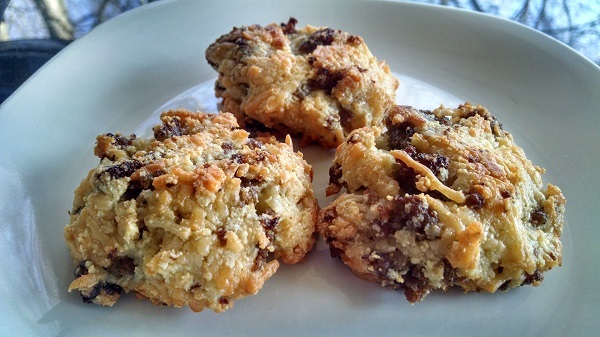 Made these last night using jimmy dean hot sausage – they were fantastic. Had intended to have leftovers to use for breakfast this week but I ate 3 for dinner and hubby are 5 so I’ll be mixing up another wonderful batch today. Thank you for sharing this excellent recipe!! These are awesome! I only used half the cheese and no butter and they were still super good! I’m going to use these to make low carb stuffing too! great idea on the stuffing! love to know how it works out! These were great!!! I made them just as you wrote it. Very happy with them. They are really good, not just I can eat them. Thank you so much for sharing it. I loved these! One morning I sliced one open & then put scrambled eggs between the halves for a biscuit sandwich. Yum! And one I halved, toasted a little in the toaster oven, then smeared with cream cheese and sugar free strawberry jam. YUMMY! In the oven as we speak (type..LOL). Made the double batch. Saving half for breakfast for the week. To that I added Montreal steak seasoning, oregano, and some Tony Chachere’s. Can’t wait to try both ways!!! Hard to pick!!! The sausage balls were such a hit!!! No one knew they were low carb!! The “patties” were really good also!! Enjoyed a couple this morning with a couple hard boiled eggs. Can’t wait to try them tomorrow with a little grape jelly!!! Used the Jimmy Dean Maple sausage. Words cannot express how amazing these are! Thank you soooo much for re-posting this!! I am going to try very hard to get back on track and I cannot wait to make these!!! 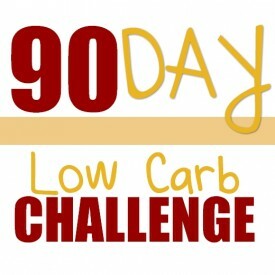 You are so inspiring Lynn and I appreciate your honesty and insight along your low carb journey!!! I made the most amazing chicken nuggets from this recipe. 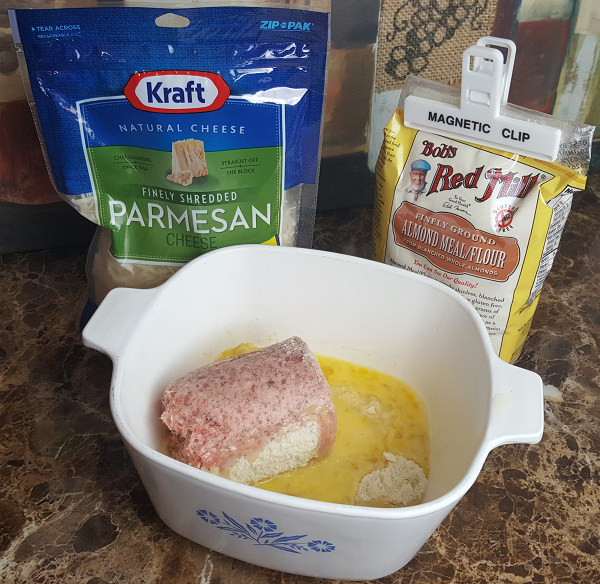 I subbed ground chicken for the sausage, made the little patty, pressed it into a mixture of crushed pork rinds and parmesean cheese then baked them according to the recipe. They came out crispy on the outside and soft and meaty inside. Perfect for dipping in ranch!! I was looking forward to making these but they turned out like eggy meatballs rather than a biscuit. The cheese was left out and I used chicken instead of sausage, but it didn’t seem to have enough flour to be a biscuit. Yes, the parmesan is the key ingredient to this recipe, that’s why. 😉 You can definitely use ground chicken instead – or anything really (I make them plain, or with spinach, for example), but the parmesan is what makes it work. Thanks, I’m dairy free and couldn’t figure out a replacement. I did however take this awesome idea and used sausage in a low carb biscuit recipe and it turned out great. Hmm… I’m not sure. Parmesan is pretty low in dairy, right? I know they make vegan parmesan, but I’m not sure how that would do as a replacement, of if that would work for you. I’m glad you found another way to make something you enjoy! These are the bomb! Made them, ate two and put the rest away to stop from eating more! Super! I love these and have made them before. I use turkey sausage as I don’t really care for the pork. My question is, why does my cheese leak out? My biscuits never look like yours. When they are done, there is a trail of cheese on pan. I would use these for company but they just aren’t “pretty” enough. (I have also used grated Parmesan to see if that would help and it didn’t.) Any suggestions or do you think it is the difference in the turkey vs. pork sausage? How odd! I have no idea as I’ve never tried them with turkey sausage instead of pork… maybe that IS the issue? I have used other shredded cheeses, like shredded colby jack, as well as the finely shredded parmesan, and mine always stay together just fine! Can you leave out the parmesan cheese and just use another cheese? I left out the butter because their is enough fat in the sausage to hold it together and added 2 tsp of baking powder. They are a little salty, but that was expected due to the cheese and sausage. Is there a way to make them less salty? Are the eggs “scrambled” in this recipe once cooked or are they just for binding together? Oh no, they are just a binder. They cook in with the rest of the ingredients, so they go in raw. You can’t taste the egg though, just like with most things you bake. 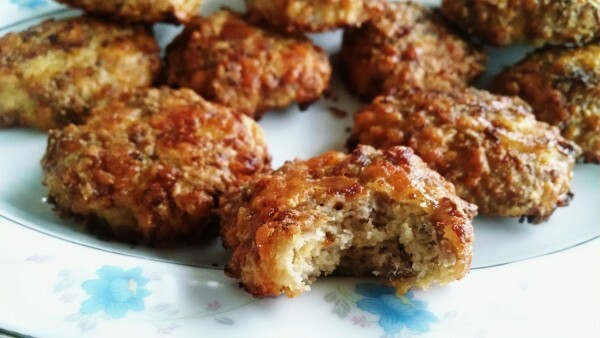 I made the sausage bisquits but they came out flat and the parmesan cheese taste was a bit overwhelming. I know I can try replacing with another cheese but I am wondering if the 6 oz package it called for is correct? You mention that you cut the recipe in half so I am wondering if the cheese was not reduced when you did that? I am thinking the flavor would be more balanced and they may have puffed up some if there wasn’t so much cheese.